Bathroom Safety Products | Collections Etc. Although it’s a place everyone must visit multiple times a day, the bathroom presents some of the biggest risks in your home. With slippery floors and challenging setups, accidents and injuries are common in the water closet. Collections Etc. strives to help make the bathroom safer for those with disabilities and mobility limitations with premium-quality bathroom safety aids. There are items here to help with many bathing and toileting challenges for yourself, your parents or your loved ones. 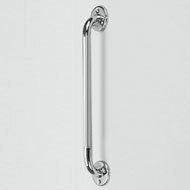 To reduce risk in the shower or bath, we highly recommend installing one or two of our shower handles and grab bars. 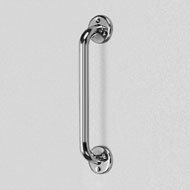 These easy-to-install (often with suction cups) handles provide you with the support and stability you need to get in and out of the shower or bath safely. We also have anti-slip bathtub mats and shower chairs to help lower your bathroom’s slip and fall risk. Eliminate toilet-related accidents with clever products like toilet safety rails, elevated toilet seats and more excellent bathroom safety products from Collections Etc.